Honey Sticks crayons for artistic little busy bees! 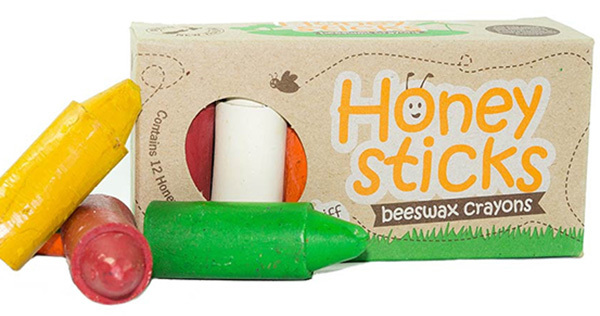 Treat your creative kids to new tools with crayons that glide on paper as smooth as honey and as an added bonus, even smell like honey – we give you not just any old wax crayon, we give you Honey Sticks crayons! 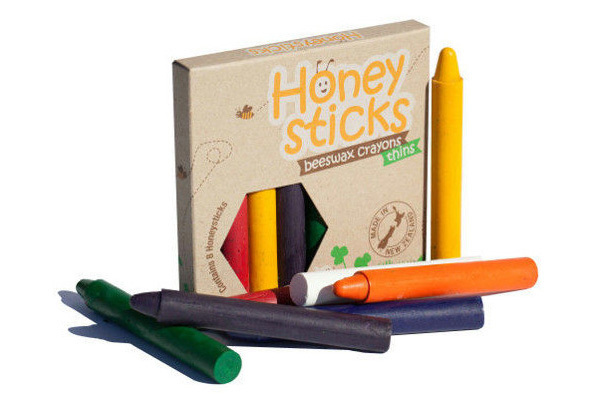 The chubby, ergonomic shape of the original Honey Sticks crayons are a perfect fit for our littlest people with small hands, allowing them to easily guide the crayon while making their fridge display worthy masterpieces. A gorgeous gift for toddlers, the sweet honey scent of the crayons linger, making colouring with Honey Sticks a real treat for the senses. Made from New Zealand beeswax and non toxic ingredients, these crayons are not only eco-friendly, they’re completely child-friendly (unless your cherub is inclined to sticking objects up their nose or in their mouth, then we do encourage adult supervision). A durable crayon that delivers big on pigmented colour, they’ll last many a colouring session – even the most enthusiastic of mini artists will find they can’t snap these stunted crayons! Slightly older kids or those who love to get really busy with a set of crayons will get to enjoy all the same benefits of the original Honey Sticks crayons but in a lengthier version with Honey Sticks Longs ($14.90) and older kids again – and those who can be trusted to resist snapping them – will delight in Honey Sticks Thins ($10.90). 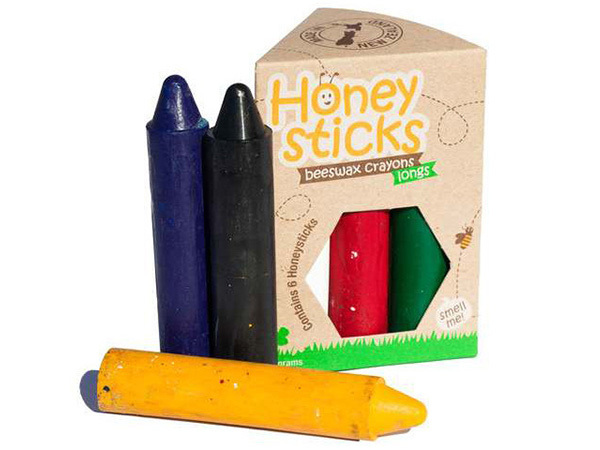 Honey Sticks crayons are available in a pack of 12 for $13.90 and available from Craft 4 Kids.